Do you always seem to be in a hurry or always remember at the last moment that you need a card for an occasion? Then you need to make a quick and simple card. Today's card is just that. 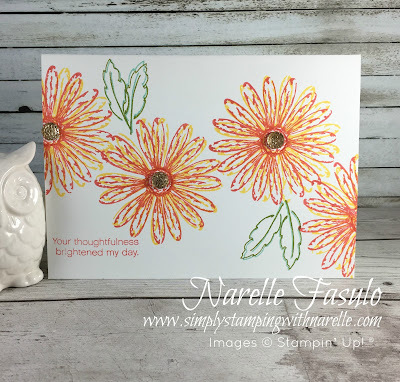 Using the Daisy Delight stamp set and just a couple of colours of ink, this card takes literally minutes to make. It is a single layer card, which means all the stamping is done directly onto the card front. It really can't get much simpler and quicker than that. 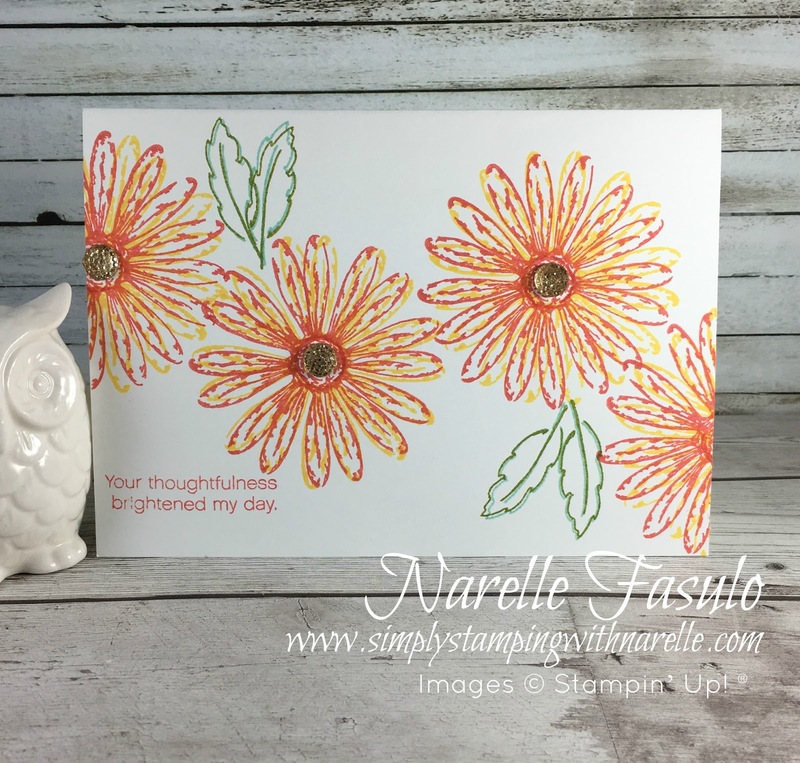 I have stamped the daisies and leaves in two different colours for a different look. Add some bling and you have a quick and simple card that is perfect for that last minute rush. This was one of the cards in June's Stamping By Mail class. The projects in these classes are tailored to suit beginners through to the experienced card makers. With easy to follow instructions, the projects are fun and enjoyable to make. Why not have a look at the three classes I have on offer for August by clicking on the image below.